Bourbon Therapy is an indie rock/Americana band frronted by the husband and wife duo of Aaron and Rebecca Skiles. By mixing big guitars with piano, strings and an occasional harmonica, their sound ranges from heavy-riff-laden songs to expressive ballads, providing a dynamic range of anthemic tunes. Their latest single and video, â€œPeace That You Deserveâ€ will release on 11/09/2018. 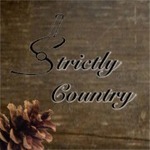 The song explores the struggles of a Veteran returning home from war and trying to get back into the daily rhythm of life with his family. This haunting, beautiful song features the graceful vocals of Rebecca Skiles and includes an intense musical, vocal crescendo that articulates the darkness and challenges that some of our Veterans face. The rest of the band helped with arrangements and thought the best way to end the song would be to have Rebecca sing the main chorus line, with no music behind her. The line, â€œI hope you finally find the peace that you deserveâ€ is the last powerful impression the listener has and there is nothing else, sonically, to distract from the message of that line. The video was produced, directed, and edited by Cesar Delly. It was filmed in August 2018 in two locations, The Grand Lake Farmerâ€™s Market and their house, both in Oakland, CA. The Skiles, their daughter and even their dog have character roles in the video with professional actor and family friend, Jack Kennedy playing the lead. Kennedy is also a Veteran, a former Army paratrooper who met Skiles while at West Point. The trickiest part of making the video was that Aaron and Jack had wanted to make sure that the military imagery was not only respectful, but also tasteful and accurately portrayed. They had originally considered trying to create some war scenes but thought that it might not feel authentic enough, at best, and might actually be disrespectful, at worst. In order to give the viewer the understanding that Jack was a former soldier, they decided to shoot scenes where Jack was reminiscing while holding his former Army medals (which are actual medals Aaron had been awarded during his service) and polishing his actual combat boots from his time as a paratrooper in the Army. This gave the effect that the main character was having trouble letting go of his wartime past. â€œWhen we recorded the video, we thought weâ€™d like to give the song a chance to possibly have a happy ending in the viewerâ€™s eyes,â€ explained Skiles. â€œAfter all the chorus is one of hope, but not of certainty. The topic is heavy enough—we didnâ€™™t feel the need to make the video entirely depressing.â€ The crew decided to end the music and then have Rebecca say, â€œCome on guys, letâ€™s go insideâ€ allowing for the hope that this soldier and his family have a chance to work through their issues. 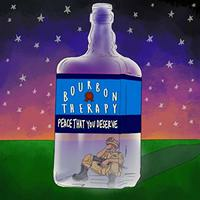 Bourbon Therapy has released two previous records before this single. Hymnals and Hangovers in 2016 and a live EP, Three More for the Road; Live from Oakland, 1-20-18. They are donating 100% of the proceeds from sales of the iTunes single, â€œPeace That You Deserveâ€ in the month of November to the organization Mission 22. *Mission 22 is a non-profit, non-political organization that is dedicated to ending Veteran suicide through various awareness and treatment programs.